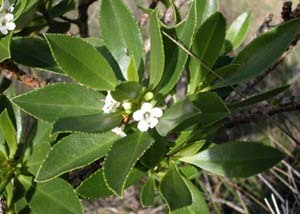 Myoporum insulare (Boobyalla) is a common native coastal shrub. 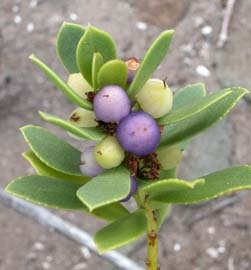 The leaves are flat and relatively broad (about 6-20 mm wide), but somewhat succulent. 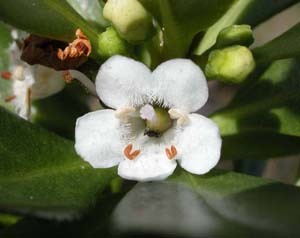 The flowers are two lipped (like those of the mint family, Lamiaceae).